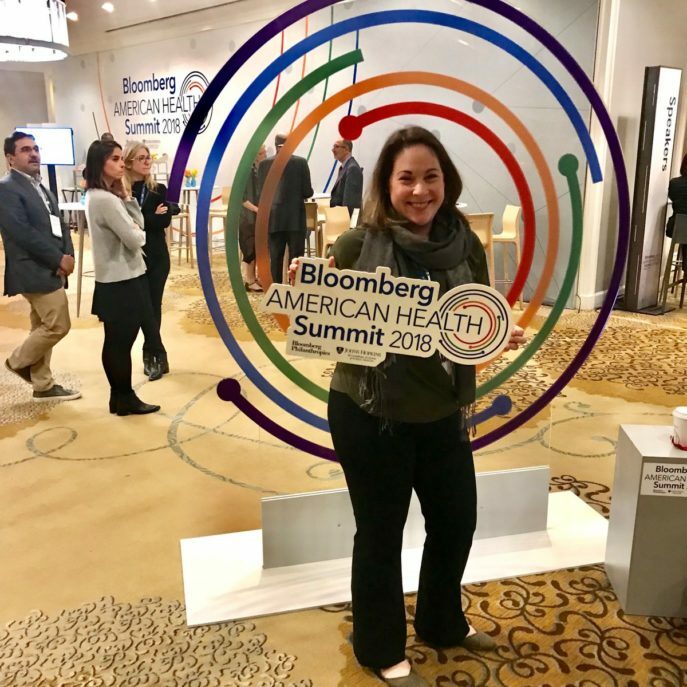 RALIANCE joined 350 participants at the inaugural Bloomberg American Health Summit last week in Washington, DC to discuss overcoming challenges and improving health. While sexual violence is generally viewed as a public health issue, the summit demonstrated that sexual violence and other public health movements like addiction or gun violence can share similar prevention strategies. The conversation about health outcomes is timely. The Center for Disease Control and Prevention also announced last week that the U.S. life expectancy rate declined for the third consecutive year. It is a wakeup call to the kind of conversations that need to happen and are thanks in part to the Bloomberg American Health Initiative. This $300 million endowed program at Johns Hopkins seeks to change five major health challenges: Addiction and Overdose, Environmental Challenges, Obesity and the Food System, Risks to Adolescent Health, and Violence, including sexual harassment, misconduct and abuse. As we talked about the top three issues the CDC identified – drug overdoses, chronic liver disease, and suicide – Bloomberg Fellows and others shared community-based solutions working to change health outcomes. Arne Duncan, former U.S. Secretary of Education, spoke about his work in Chicago to reduce gun violence and noted the importance of hope and relationships in pursuing peace. Public health experts noted current efforts underway to increase hope and reduce stigma especially around addiction issues, the importance of dignity and respect for all, as well as access to healthcare and safer systems. The solutions for ending sexual violence are also rooted in all these ideas. Catch out the entire summit online!